If you have been injured by the carelessness of another party, you may be wondering what happens next. Even if you are sure that you want to file a personal injury lawsuit, just the thought of starting the filing process might be enough to leave you feeling extremely overwhelmed. The laws that apply to personal injury cases in the District of Columbia differ from other states, but a knowledgeable Washington DC personal injury lawyer with local experience handling your type of claim can help ease the process. Nevertheless, having a general understanding of the litigation process is important before you meet for a consultation with any attorney. This article will explore some key personal injury laws specific to the District. Each state has a time limit, known as the statute of limitations, in which a personal injury lawsuit can be filed in court after an injury. In D.C., the statute of limitations is three years and for most personal injury cases in the District, this time limit begins on the date of the accident or particular incident that led to injury. If a plaintiff does not get his or her lawsuit filed in court before the three-year window closes, he or she will most likely lose the right to have the case heard in court. In the event the D.C. government or one of its employees contributed to or was responsible for your injury, there are a different set of rules you must follow in order to receive compensation – speak with an attorney to learn more about this process. The District of Columbia has a six-month time limit in which you are able to file a formal complaint with the government. 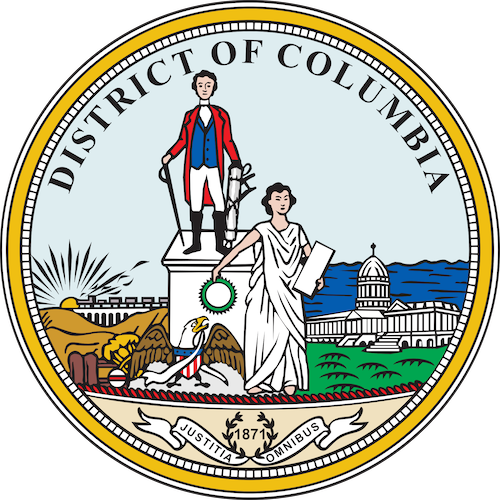 Recovering Damages in Washington, D.C. Damages in personal injury cases are meant to bring a victim back to his or her original state prior to the accident or incident that caused injury. In the District, damages are categorized into three types: economic, non-economic, and punitive. Economic damages include out-of-pocket costs that were incurred because of the injury, such as lost wages and medical treatment expenses. Non-economic damages are more subjective and a lot more difficult to put a price on, such as pain and suffering, emotional distress, and loss of companionship. Punitive damages can be awarded alongside compensatory damages – like those previously mentioned – when a person maliciously, intentionally, or willfully injures another. In Washington, D.C., punitive damages must not be unconstitutionally high; usually, the upper limit is nine times compensatory damages, unless there are extreme circumstances. The contributory fault rule – also known as “shared” fault – is a term used when a plaintiff or claimant was at fault or contributed to his or her personal injury. Seen as a particularly harsh rule, it prevents an injured person from recovering damages in the event he or she is found to share any amount of fault for the accident – no matter how small the percentage. There are few states that apply the shared fault rule and D.C. courts must implement it in personal injury and accident cases. However, the contributory negligence rule may also play out in insurance settlement negotiations. “No-Fault” Auto Insurance in D.C.
Medical bills that exceed the limits of all relevant no-fault insurance policies. In certain states, dog owners are generally protected from injury liability for a first offense if they had no reason to think the animal was dangerous. This is widely referred to as the “one bite” rule; however, in the District of Columbia, a particular statute (§ 8–1812) makes the owner “strictly liable,” meaning that if a dog injures a person, the animal’s owner is responsible for any injuries caused by the dog, regardless of its past behavior. What Is the Cost of Hiring a Personal Injury Lawyer in Washington, D.C.? Personal injury claims are not free. In most cases, accident and personal injury lawyers often work on a contingency basis, meaning they will only get paid if their client wins. However, it is important to keep in mind that even if you hire a lawyer who works on contingency, you may still be responsible for paying certain fees, regardless of the outcome of your case – some courts will waive fees entirely or discount them if financial need can be made evident. In general, most fee agreements hover around 33 percent, but some lawyers might charge closer to 40 percent. Additionally, you may also have to front the cost of filing and processing fees. To avoid any unwanted surprises, be sure to have a complete understanding of the costs you are responsible for over the course of the lawsuit before you sign any agreements with your lawyer. If you have any further questions regarding how to file a personal injury lawsuit in the District of Columbia or need help finding an experienced lawyer in the area, contact us online at i-lawsuit.com today.